Home» AP LATEST UPDATES » National Festivals/Important Days Important Reformers for Great leaders PDF file. National Festivals/Important Days Important Reformers for Great leaders PDF file. 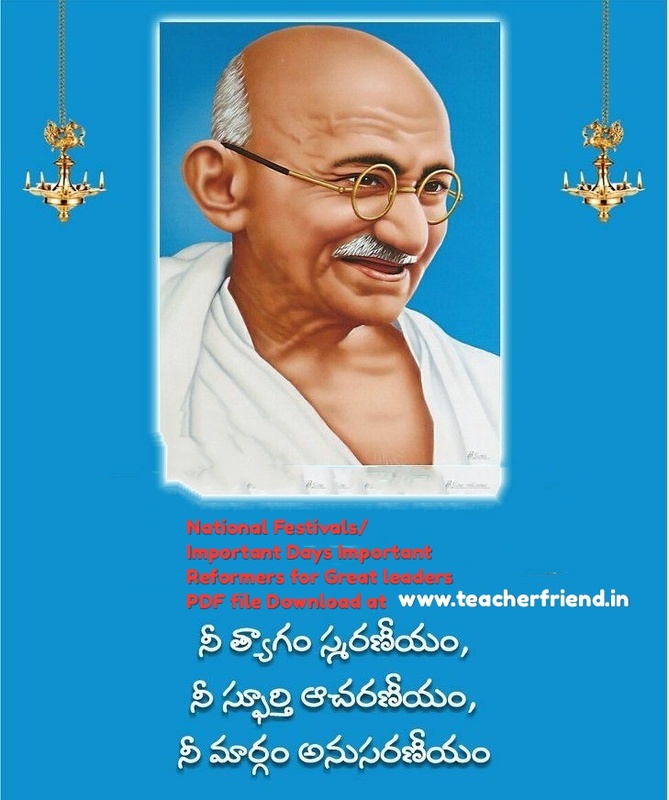 Indian National Festivals/Important Days Important Reformers for Great leaders PDF file Download/AP TS National Festivals/Important Days Important Reformers for Great leaders PDF file for Indian struggle fighter's like Mahatma Gandhi/Chacha Nehru/Sarvepalli Radhakrishnan and more Great leaders PDF file Download. AP Important days for Local and state wise and Naional Festival/International wise Important days Day wise and month wise Important days for Important Reformers for Great leaders Indian struggle fighter's like Mahatma Gandhi/Chacha Nehru/Sarvepalli Radhakrishnan. In our country we have the following national Festivals like Independent day/Republic day/Gandhi Jayanti/Children's day/Teachers Day the days is celebrated in all villages,towns and cities also download PDF file in below link. Get Downloads Important days Pdf File Click Here.